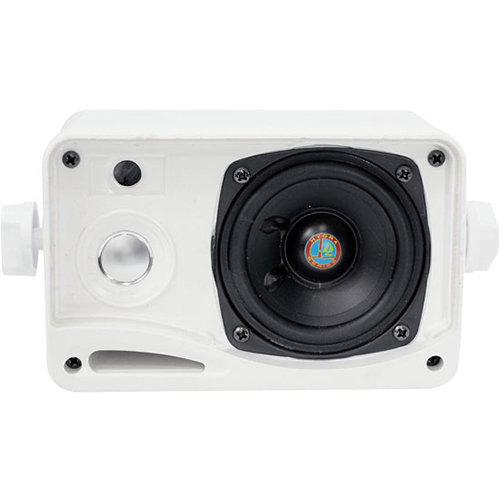 This 200-watt, three-way Pyle Hydra marine speaker has been specially designed for harsh outdoor environments. Works great on your boat, deck, by your pool, or simply mounted outdoors, because it's completely waterproof. And it sounds great, too, thanks to a 24 oz magnet structure powering a 3.5' aluminum injection cone woofer, 1.75' wide dispersion cone for rich mids, and a 1' super dome tweeter for sweet highs. The built-in capacitor crossover network performs high-quality frequency separation to minimize distortion and maximize the clarity of your sound. To protect against the elements, this speaker is equipped with a removable rustproof mesh grill on a sturdy heavy-duty ASB construction. The bass reflex vent multiplies the bass for a booming low end. 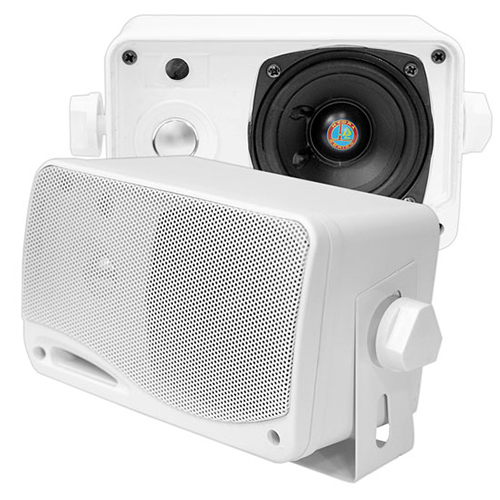 Hook up your speakers using the quick-connect speaker terminals - installation could not be easier. 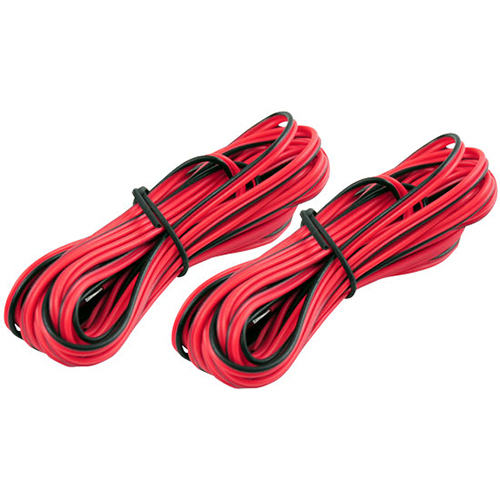 Includes a complete mounting kit and wires.